It snowed the other night before dark. 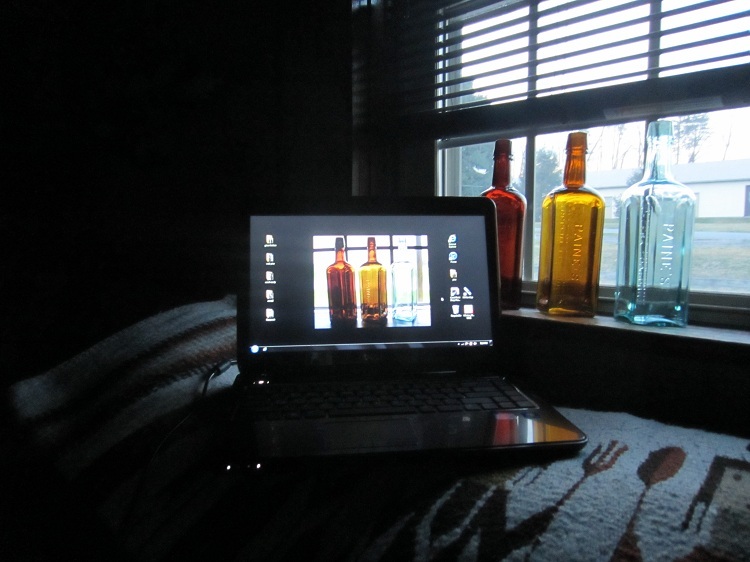 The evening gloaming with ‘snowlight,’ gave the bottles in the windows an opportunity to really look their best. 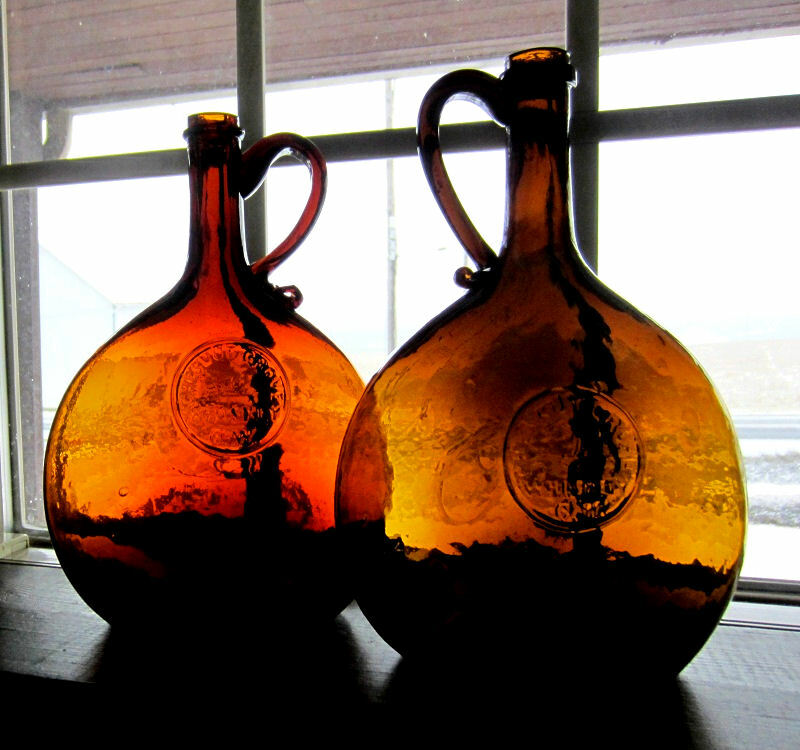 The Charles Wharton Chestnut flasks in contrasting hues of amber with hand applied handles on opposing sides. 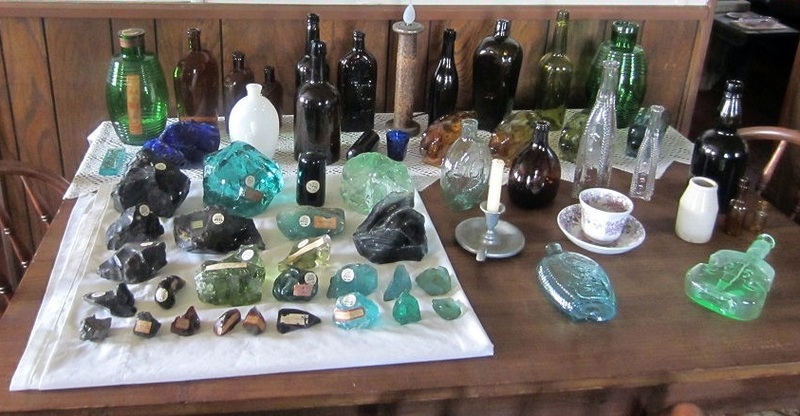 These were blown at Whitney Glass Works, New Jersey in the mid 1800’s. He sold his whiskey at 116 Walnut Street, Philadelphia. 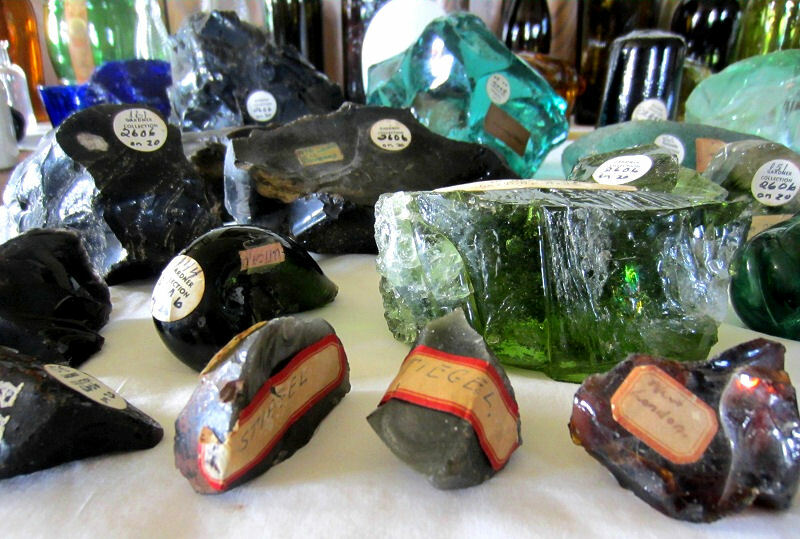 The outside window may be spotty from winter storms, but these gems are as clean as can be. The center one I added to the display, as it’s also a mid 1800’s freeblown Chestnut that is very likely South Jersey in origin. It has an iron pontil and is quite unique. These look like a fire burning in the window. Although a bit glary even in the evening snow, these crude cup blown Scottish whisky bottles show fantastic shades of olive tones transitioning to honey amber. Not a mold seam to be found, they were free blown into a cup mold and the line on the shoulder is from the overblow where the top of the mold ended. Above the overblow line, these were freeblown and the tops hand applied. These date from mid to latter 1800’s. 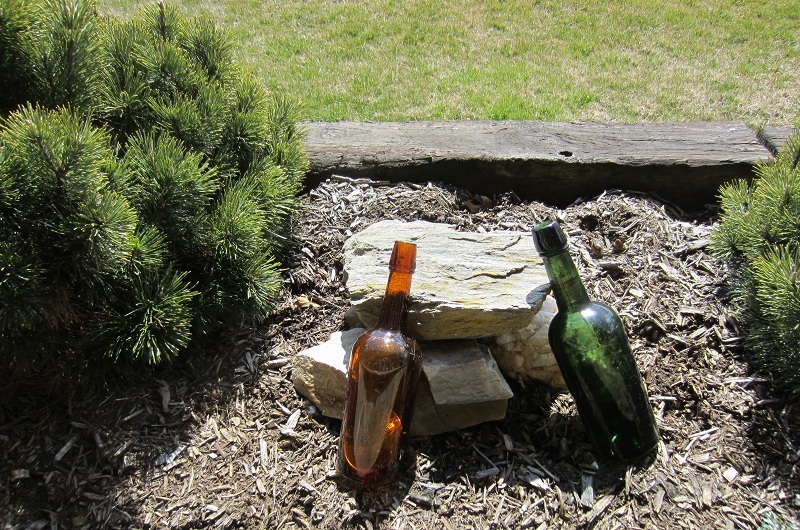 Spring and Summer greens in these 1860’s LQC Wishart’s Pine Tree Tar Cordial bottles of Philadelphia. The style is very pretty, with the patent date of 1859 and the beautifully embossed tree. 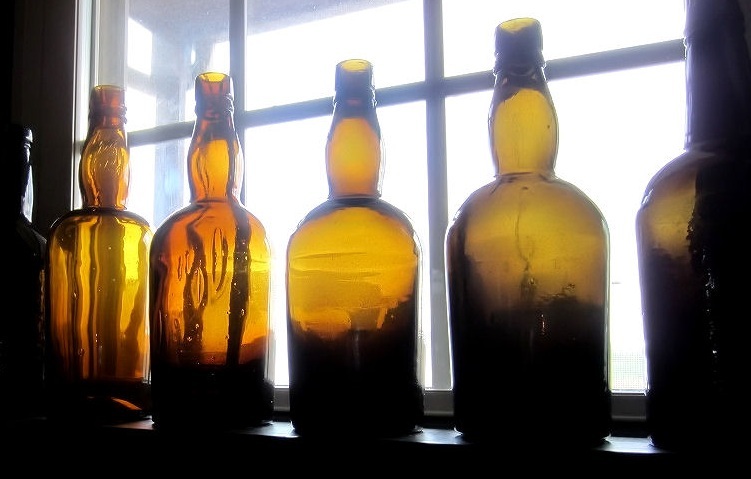 These are the large 9-1/2″ high and earliest versions of this bottle. 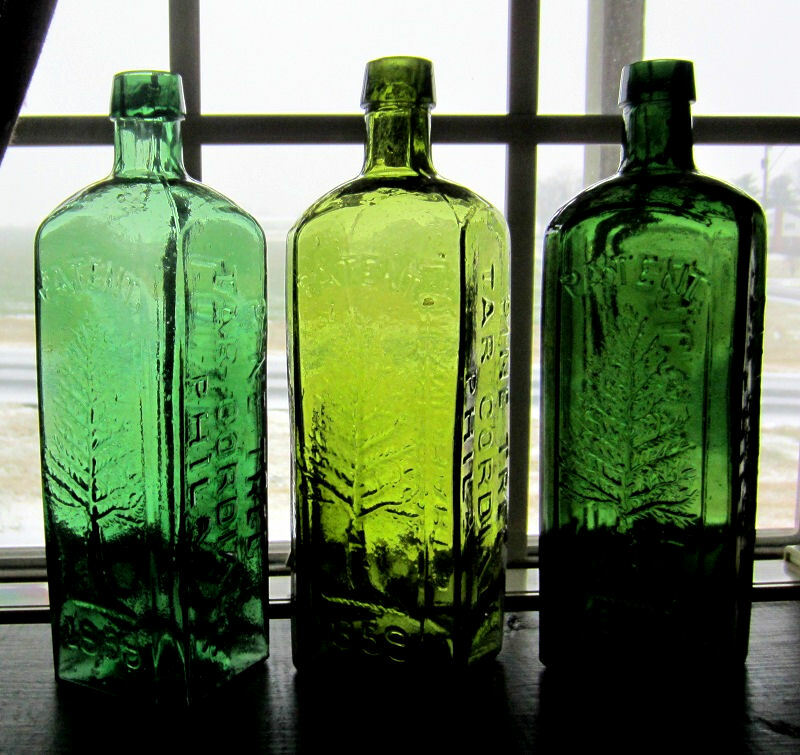 These bottles were made by Union Glass Works in Kensington, Philadelphia. Below the tree bottles are the French barrels. These are latter 1800’s and held imported capers. They came in quite an array of green tones, especially the Electric Swamp, mossy yellow example. Great summer colors with a snowy backdrop. 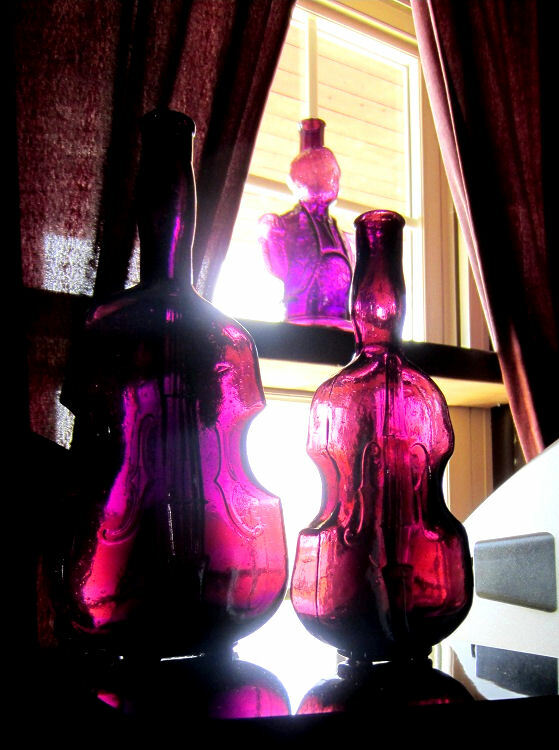 The grape juice color with puce red tones look spectacular in these 1930’s Clevenger Brothers violin bottles. Quite fitting resting on a stereo speaker with an indentical colored reproduction of Simon’s Centennial Bitters topping it off matching the burgundy (sun faded to puce,) curtains in the living room. This is a nice set, it’s not easy to find the smaller violin version in any color, let alone a matching one. 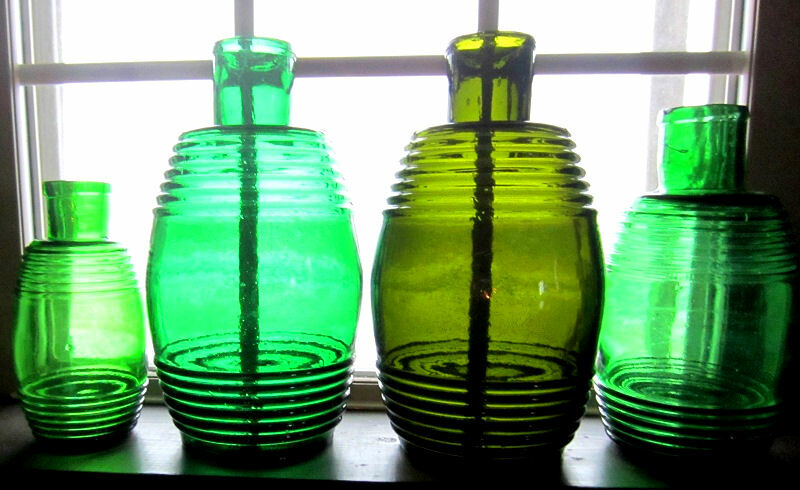 These Clevenger reproductions were never meant to fool; the Clevenger Brothers were the last of the South Jersey tradition of glassblowers and enjoyed making beautiful and affordable decorative bottles in the mid 20th Century. The red amber version of these Paine’s Celery Compound is so common, I know a digger in Maine that leaves these in the dumps where he digs for bottles. My acquiring of the Topaz variant got me more interested in a color run, and the finding of the Canadian issue in aqua makes a very colorful and contrasting set. I hope to find more of these in different color tones. These bottles marketed contents that included heroin and who knows what else. If anything was ailing you, these, although not a cure by any means, would definitely make you feel better. The Food and Drug Act in 1906 changed all this, and medicinal contents were regulated after that. These date from the 1870’s to the aqua example dating around 1900. 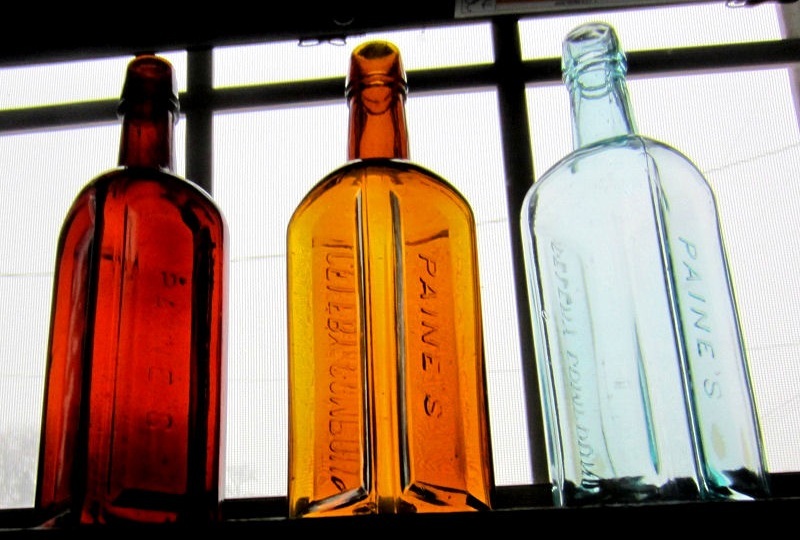 These Paine’s bottles are actually in the Farmhouse office window, as this is where it all happens on a comfy leather couch. I can keep it simple as the above picture shows, or, looking below, I can make things more complex than they need to be. If things do get a bit involved, I tend to take a break outside on the porch. I don’t have any dream catchers, but I do have rain catchers. 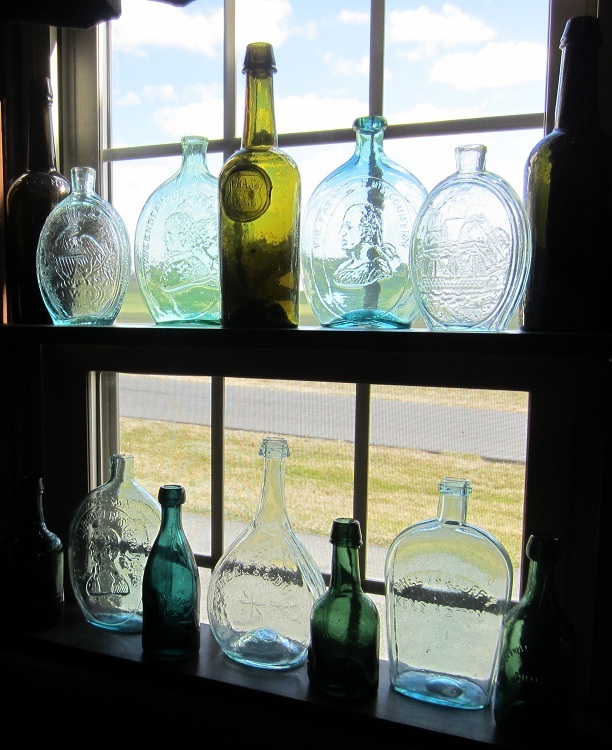 Coming back into the kitchen, one can’t miss the historical flask and Philadelphia bottles window. All of these are from the Kensington area of Philadelphia save for the large teal Washington Flask to the right of the 1846 W seal applied Dyottville whiskey. The teal Washington flask was thought for a long time to be a Dyottville example, but more recently, the nod has been given to it’s origins being that of Lockport Glass Works of Lockport, New York. 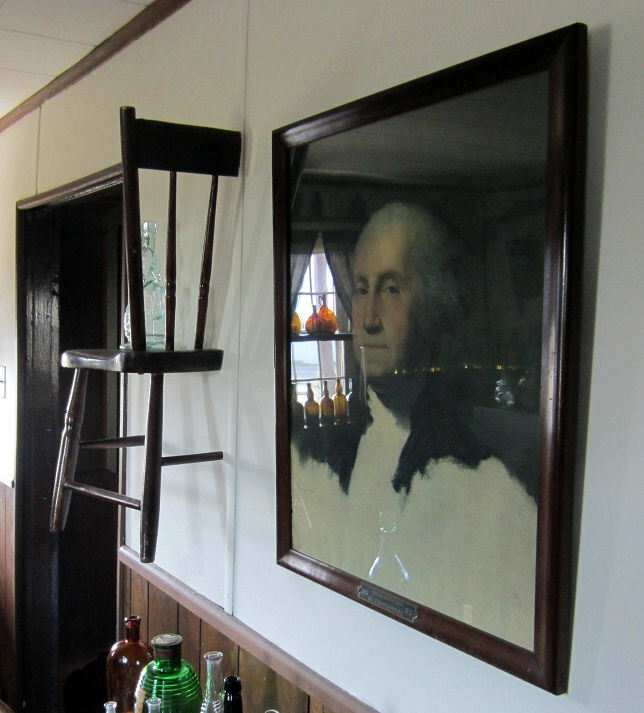 The two smaller flasks on the top shelf date to the early 1820’s. It’s not just bottles that show history here. Above and below are pictures of my Washington wall. 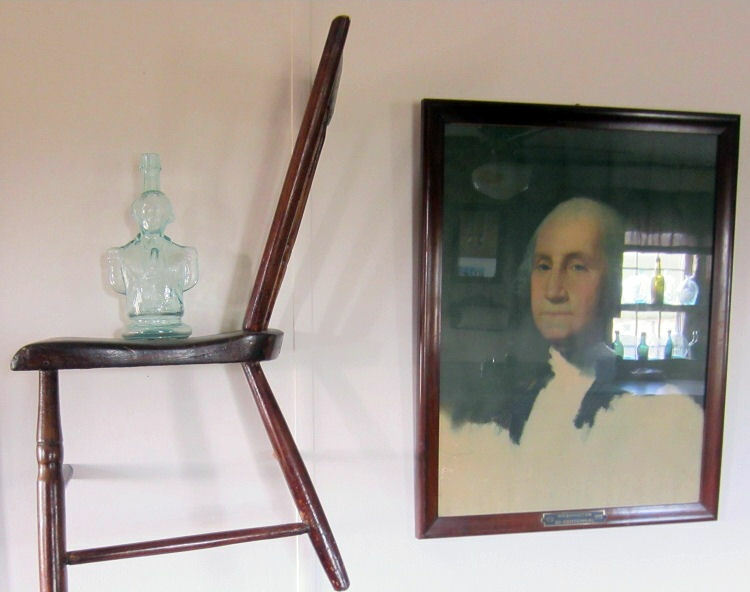 The farmhouse half a chair was found locally and makes quite an interesting shelf for a very nice facsimile of the Simon’s Centennial Bitters, which was a Washington figural bottle made in 1876 in Scranton, Pa. The one shown is a (man on a galloping horse would never know the difference,) Clevenger pontiled reproduction, and is not so different that the original which was only issued in aqua and amber, the amber being much harder to find. The original in aqua sells for $1000-$1500 and the rarer original in amber goes for around $2800. 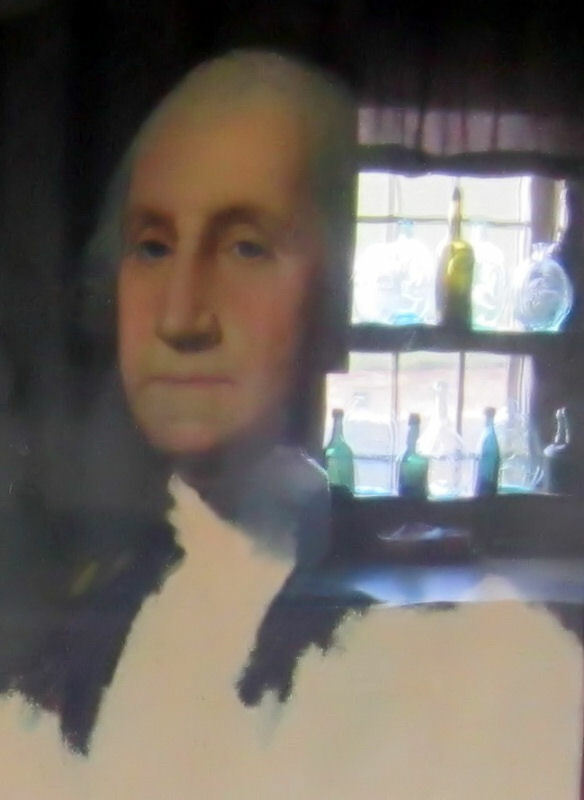 I noticed that taking a picture of the glass framed Gilbert Stuart 1932 print of the unfinished Washington portrait (Stuart started it in 1796 and it was never completed,) that reflection was an issue. Another view of the 1932 Bi-Centennial George Washington print. 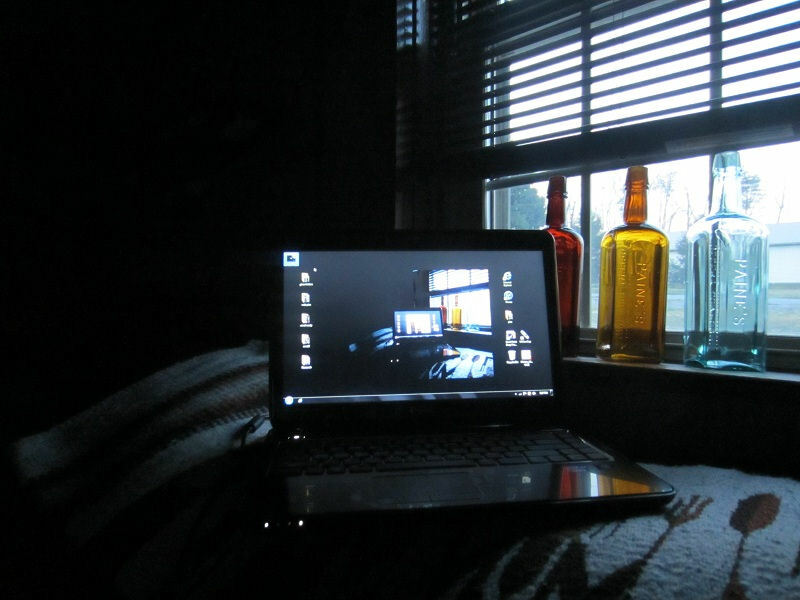 I suddenly realized the reflection was anything but an issue, and took full advantage of how cool it was. History and reflections of historical glass. I think Washington would approve of this one as it reflects historical flasks of which many feature his portrait on them. 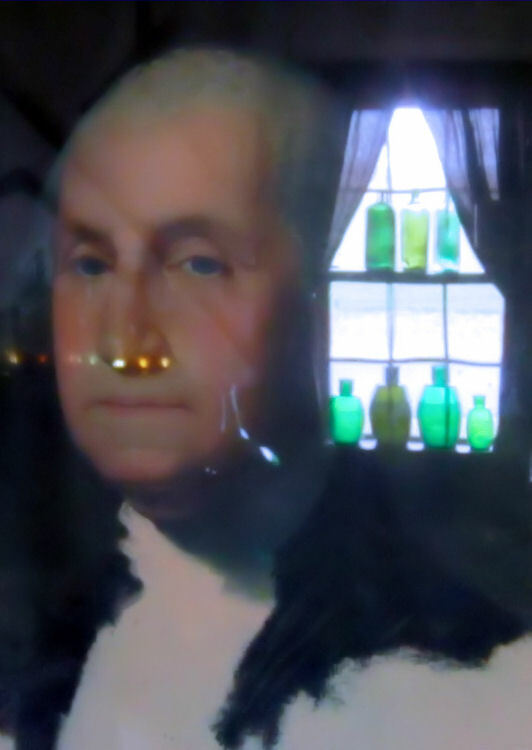 A George Washington summertime reflection with the 4th of July across his nose. 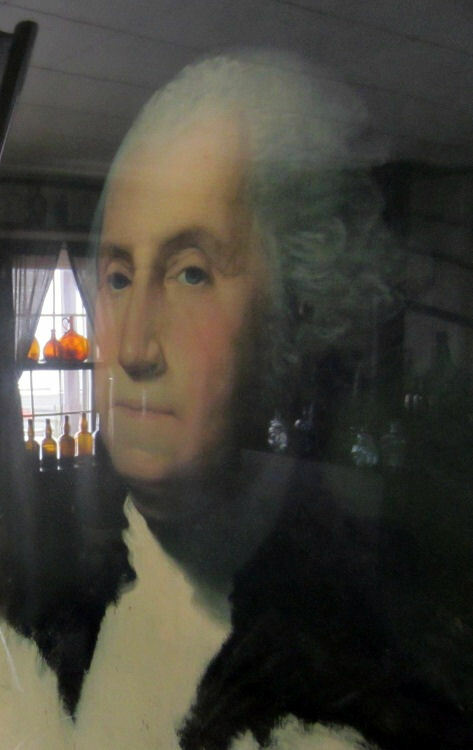 I always find it interesting and almost eerie that no matter where I stand and look at the portrait, Washington’s eyes are always looking right at you. To say Gilbert Stuart was an extremely talented artist is an understatement. 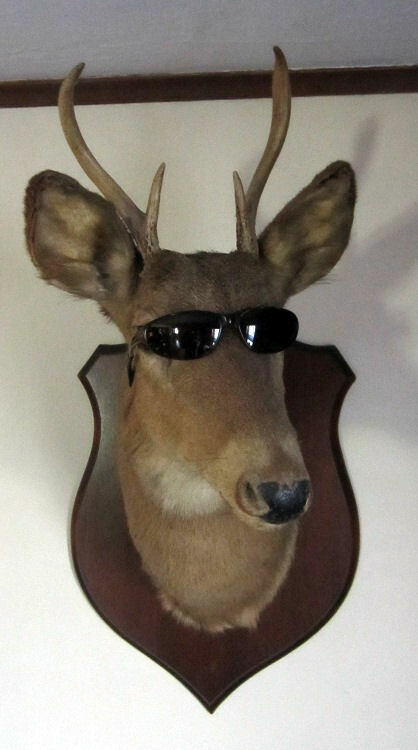 This is the portrait that you see on the one dollar bill. I hold profound respect for America’s Founding Father and first President George Washington, but I’m also even more fascinated by President Abraham Lincoln. He freed the slaves and then had to endure and lead his Nation through a Civil War and bring the rebelling states back to the Union. Lincoln was the most tried and tested President, and, of course, my favorite. 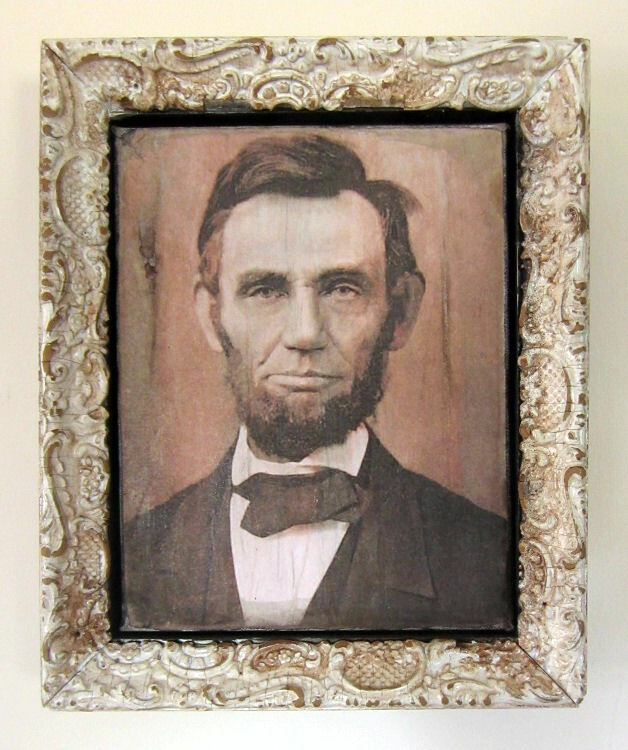 I found this photo transfer antiqued onto canvas and had a friend box frame it with original 1800’s plaster over wood ceiling trim. The effect is most beautiful and the photograph of Lincoln is the most handsome and flattering one I’ve seen. 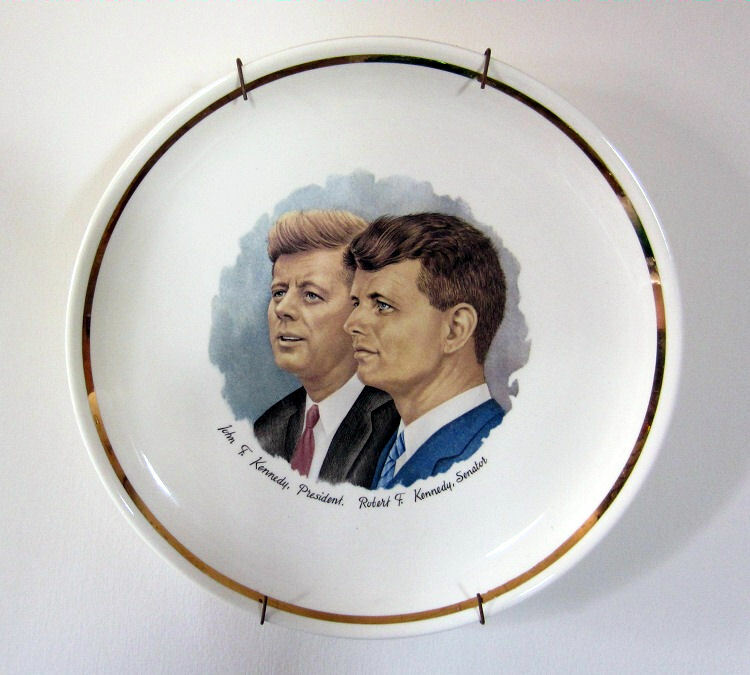 A most beautiful portrait plate, vintage from the 1960’s showing President John F. Kennedy and his brother, Senator Robert Kennedy. I have no doubt that Robert would have been elected President if not for one madman’s bullet. Just a beautiful portrait plate I came across locally for a mere $2.00. It’s value to me is so much more that that. Below the Presidents featured on the kitchen wall is the kitchen table. This, at one time, had the intent for one to actually eat at it. 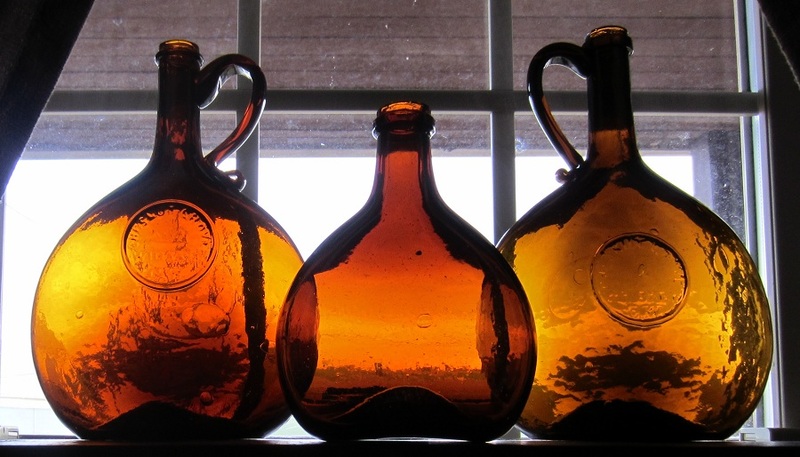 Since the local pickin’s for bottles and historic glass have been so plentiful, it has become the “Landing Strip” for new acquisitions and since been inundated with historical glass collections and bottles of all kinds. I am building a base lighted display for the Charles Gardner Historical Glasshouse collection, but that will likely stay where the pieces are now.